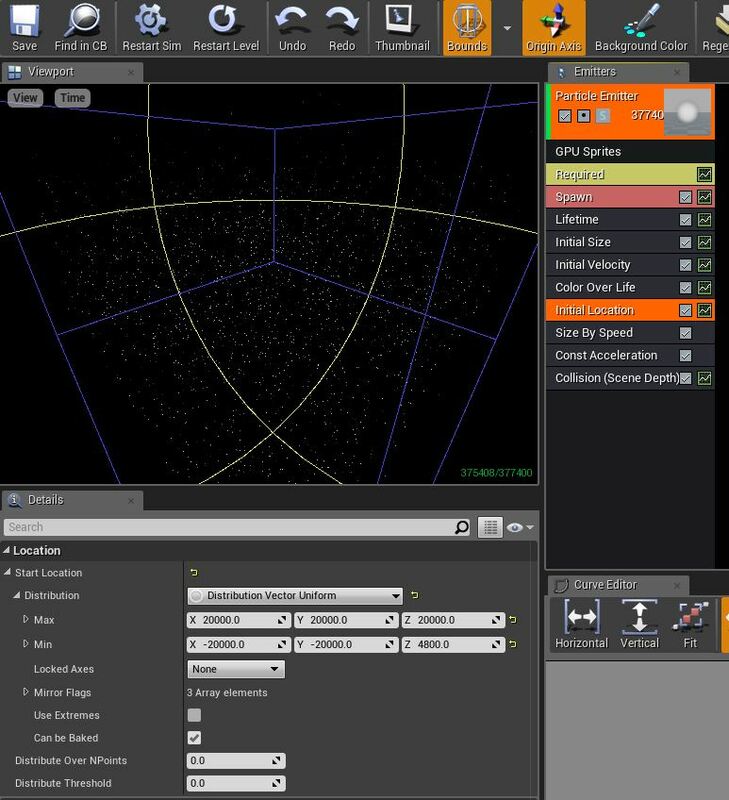 Adding particle emitter to trigger – make it rain! 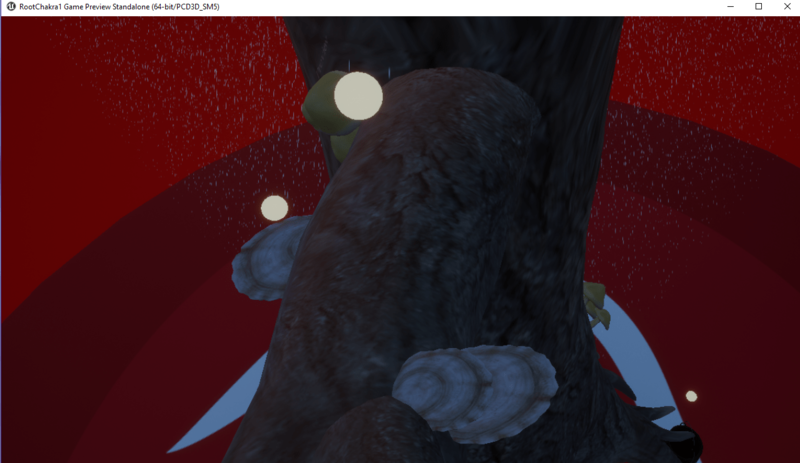 To mark the transition from this level (root chakra) to the next (a water element), I wanted to introduce a rain effect that is triggered when the player teleports to the 6th sphere. I also added some post-processing volumes to make the atmosphere seem more blue and foggy at that area. 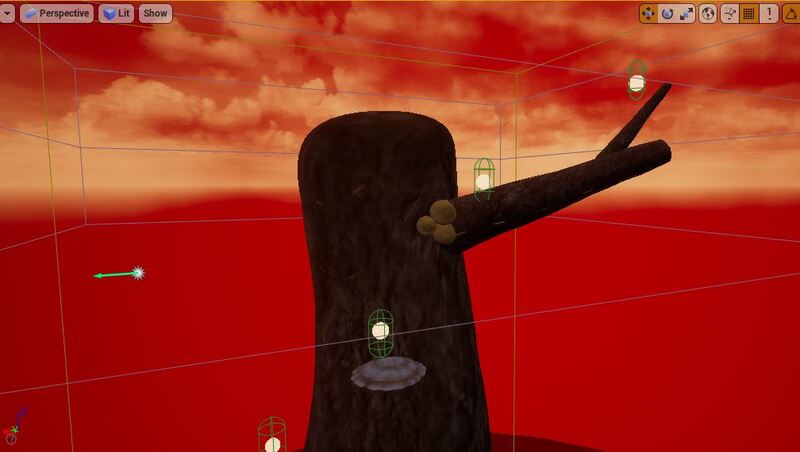 At this point the player is literally “going out on a limb” to get ready for the next level. In the level blueprint, I created OnActorBeginOverlap, which connects to Spawn Emitter at Location. This causes the Rainfall_P particle emitter I created to begin making it rain when the 6th sphere trigger capsule is overlapped. 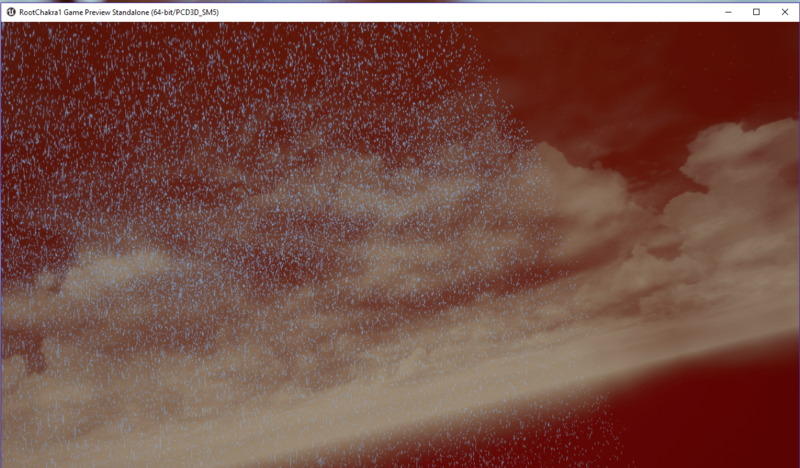 Here is an image of the Rainfall_P particle emitter system. As you can see, I set the Initial Location very large – 20000 units along X,Y &Z. The trigger works – it rains when the player encounters it. The problem is that the rain is only occurring inside of a box area, rather than raining over the entire scene. Rather than the player feeling like it’s raining inside the scene, it seems to just be raining inside a transparent box. The player is actually standing outside the box at this point, so they are observing it from afar. I have “Set Fixed Bounds” turned on, because I was told you need to for performance/frame rate issues. 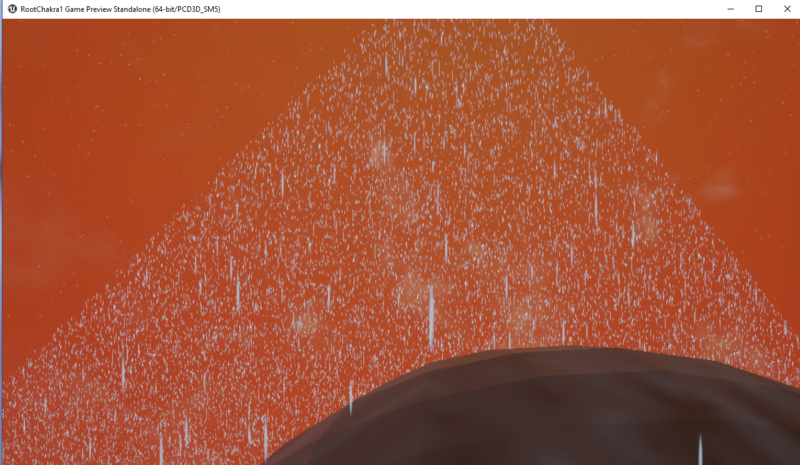 I tried dragging the Rainfall_P particle emitter into the scene without tying it to the trigger, and it does indeed rain over the entire area. This is with that is that it rains all the time – I only want it to begin to rain once the 6th sphere is triggered. I also tried disconnecting the Spawn Emitter from Get Actor Location, which only made it worse. It covered an even smaller area further away.